Natural products are The best to use because they have no side effects. If you want perfect and flawless skin without having to break the bank, there are amazing African solutions for the African woman. The best thing about these products is that they’re super affordable and you can find them in any market close to you. Once you start using these products, everyone would keep asking you what the secret to your glowing skin is, and you will make heads spin. This is a major key. You’d never have to buy any expensive bar of soap that doesn’t work well with your skin again. African black soap will take away all your skin defects like magic. African women in the past used camwood to make their skin glow and shine. It has antibacterial and cleansing properties. This is a key ingredient in many soaps and creams and it will leave your skin glossy and smooth. Whipped cocoa butter infused with some essential oils will have your skin feeling and smelling lovely, and your melanin popping. 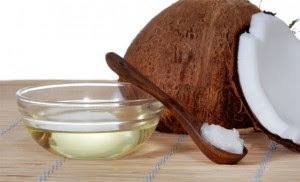 Coconut oil is a lifesaver, and it can be used for practically any beauty purpose. Pamper your skin with some coconut oil today. Shea butter is great for skin and hair, and every naturalista swears by it. It would leave your skin supple and smooth.